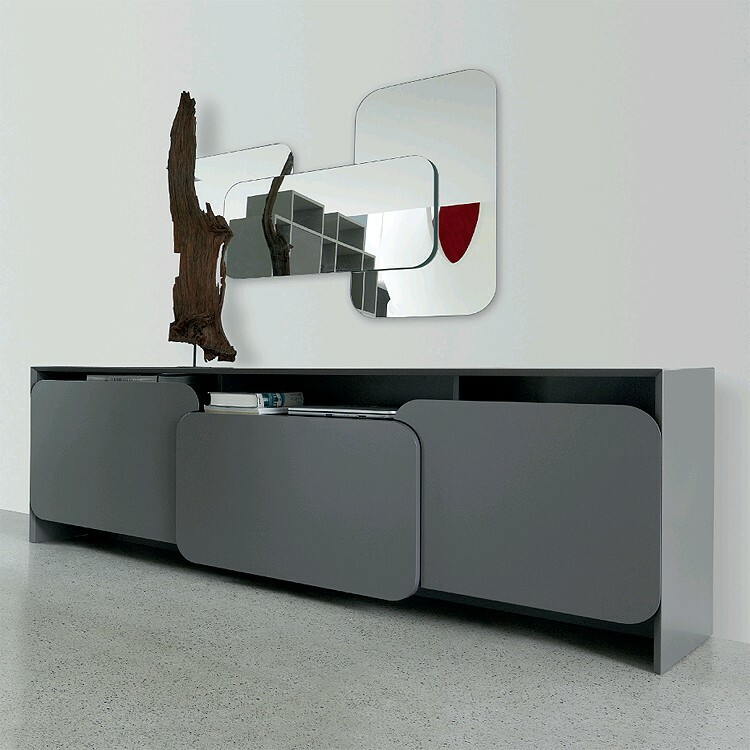 A fresh and modern curved sideboard with an individual character. 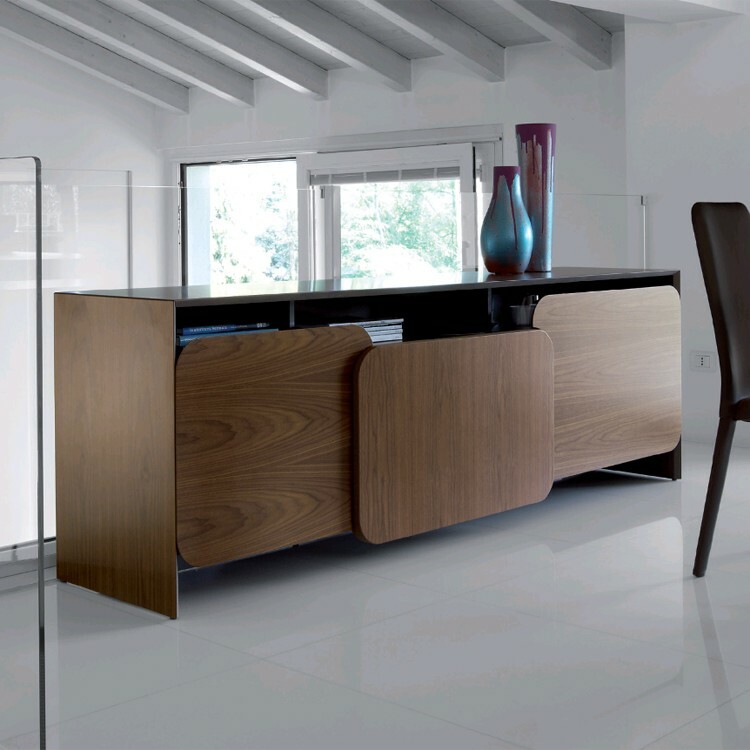 The frame and doors are made from wood with a veneered or lacquered finish. See links below for all lacquered options. Features 2 large side doors and a central pull-out drawer.